the Newton's Nook Designs blog! This Biweekly Challenge was a THEME challenge-Fabulous Fall! 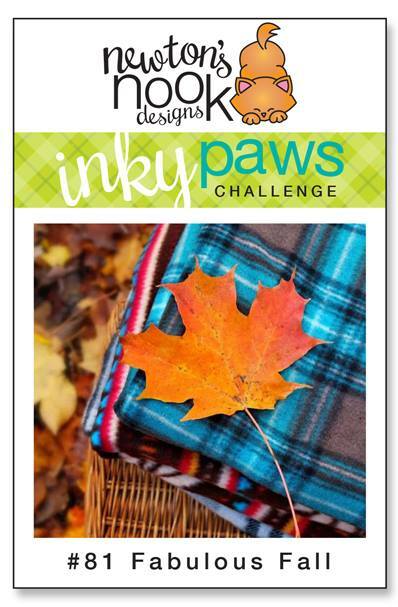 Inky Paws Challenge #81 Winner! 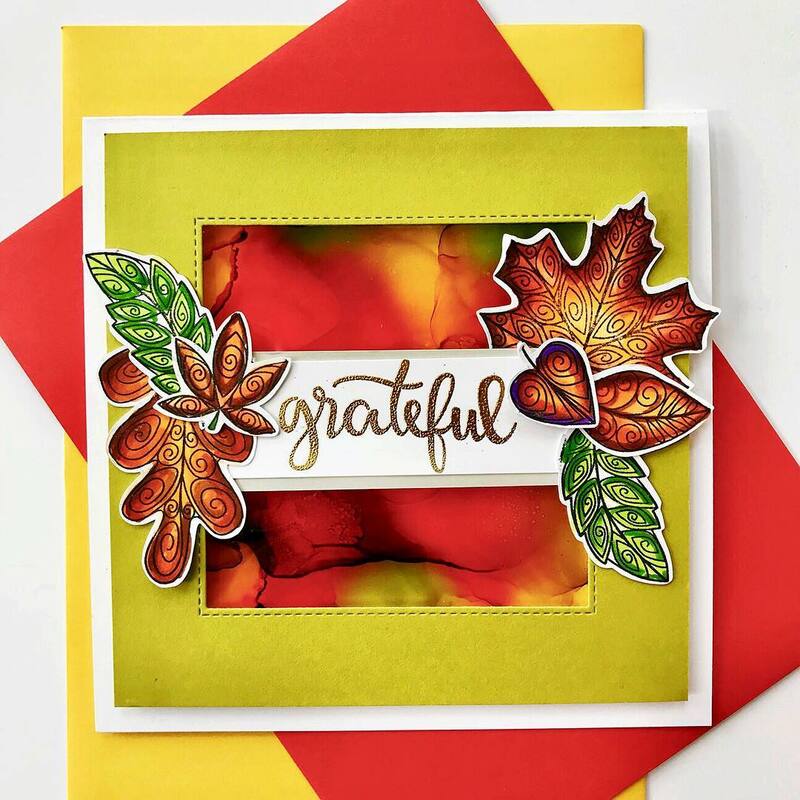 Thankful Thoughts stamp sets. 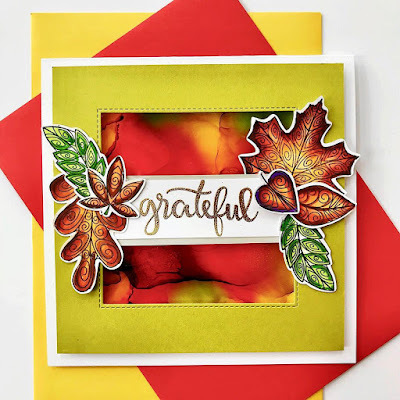 Her use of these yummy fall colors and fabulous coloring of the leaves makes this just spectacular! Pick-a-Pumpkin stamp sets. 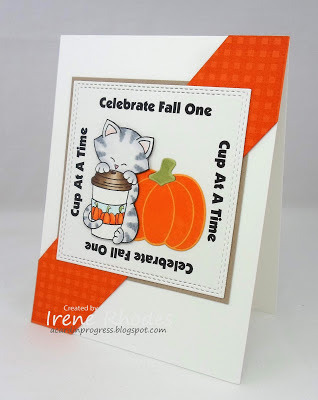 She creates her orange stripe to look like gingham and prints the sentiment to go around her die cut square. She draws little pumpkins for her latte cosy. So cute! 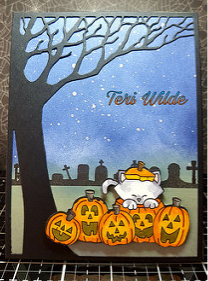 Andrea brings us this delightful card pulling in the colors of fall using different paper designs. 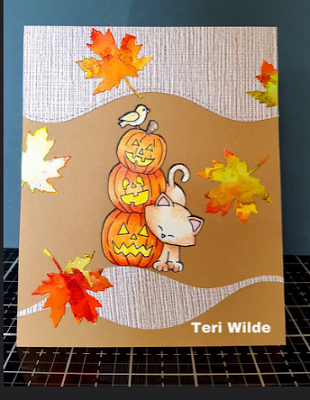 Using an image from the Autumn Newton stamp set, Andrea colors the basket and kitty wonderfully and adheres it to her distressed background.